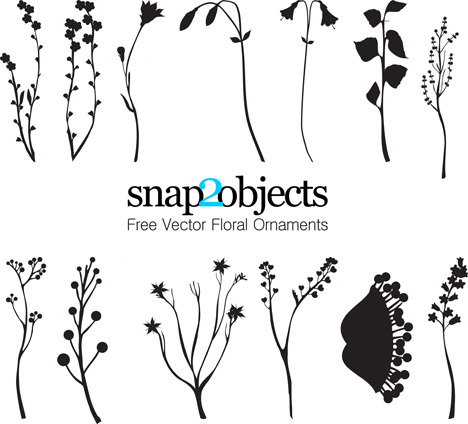 Get floral ornaments vector in black and white color, a silhouette plant in Eps vector related to Nature vector design, Ornament and Silhouette design with design elements of flower and plant, grass, branches and leafs. 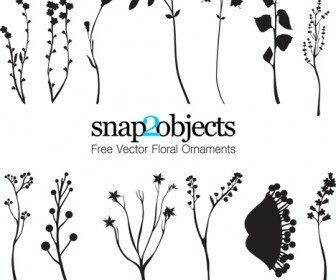 Download Free vector floral ornaments free for your high quality clip art or cool banner design, business cards printing or wallpaper images collection. Support vector editor softwares such as Adobe Illustrator or Corel Draw.